At VC Living, we supply commercial furniture of various types to businesses in the hospitality, tourism and real estate industries – to name a few. 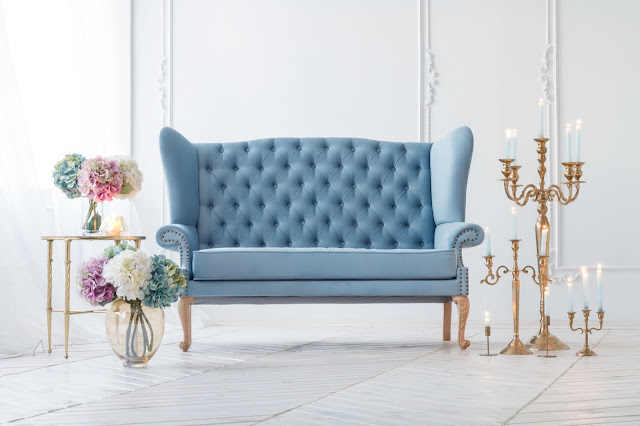 A high proportion of our range is vintage or antique in terms of its aesthetic style though our contemporary pieces are also quite popular, depending on the kind of business we are supplying. 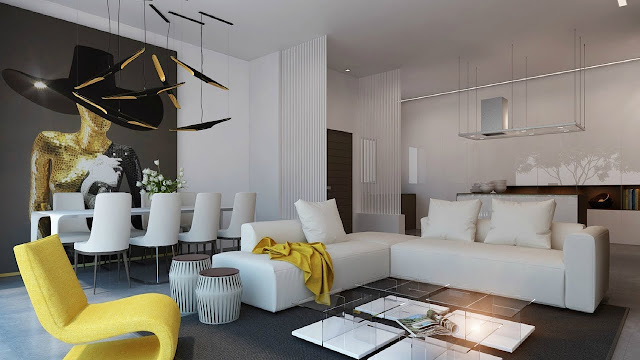 As furniture enthusiasts, we do enjoy innovative, cutting-edge design styles and we appreciate that crafting an attractive piece of furniture requires artistic vision. For this month’s blog, we thought we’d take a look at 5 pieces that really take things to the next level. Check out these abstract and ultimately bizarre designs and let us know your thoughts! 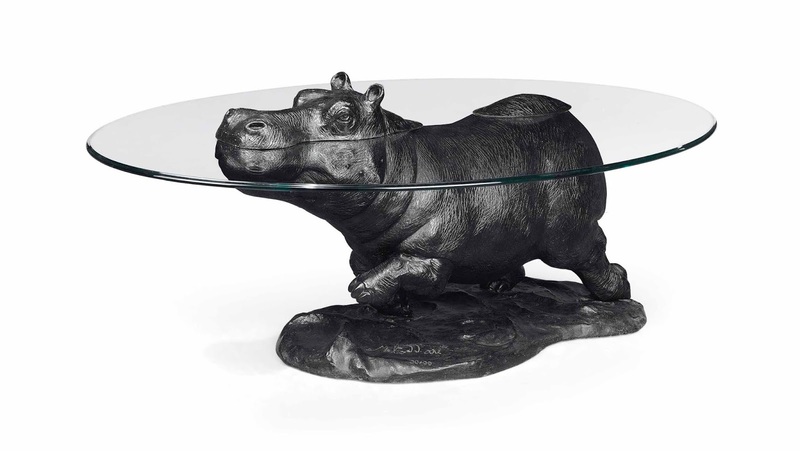 We’re actually quite fond of some of these pieces, particularly this one of a hippopotamus seemingly emerging from underwater. Other designs of rhino, elephants, tigers and other animals are also available. Mark Stoddart, the Scottish furniture designer and sculptor that produces the pieces, is quite an eccentric fellow himself, designing only 3 tables per year and refusing to produce more than 99 pieces from each design. There truly are some wacky bed designs out there (we’ve seen hamburger, crow’s nest and mile high themed beds) but this one takes the cake for its innovation. 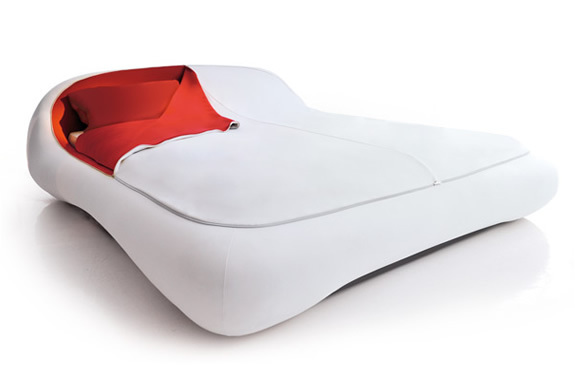 Designed by Italian company Florida, the zip bed does not have to be made every morning in the traditional sense. Simply zip it up and you’re ready to walk out the door. Plus, it’s sleek, futuristic design and padded sides make it super comfortable. Could this be the bed of the future? This one we’re not so sure about. 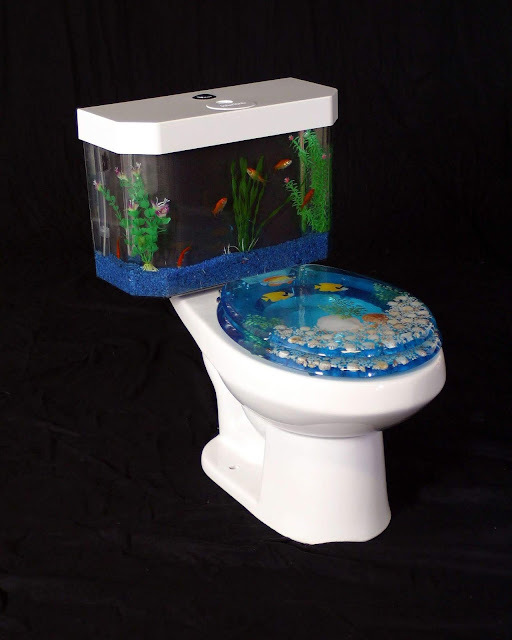 While it’s not strictly speaking a piece of furniture, the fish tank toilet makes the cut because there is no way you could not describe this as ‘bizarre’! What we can say with certainty is that you’re probably not going to get bored with goldfish staring at you. These acrylic toilets have dual filter systems and 2 separate tanks to keep the little fellows out of the toilet bowl. Probably great for any aquarium enthusiast but probably not ideal for the rest of us! 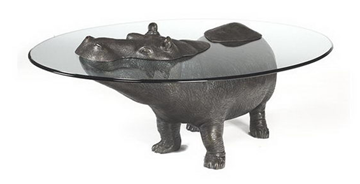 Animal designs are seemingly a favourite among many sculptors and furniture designers. Similar to Mark Stoddart’s pieces, Riera’s chairs are possibly even more daring and completely accurate to the animal’s appearance. 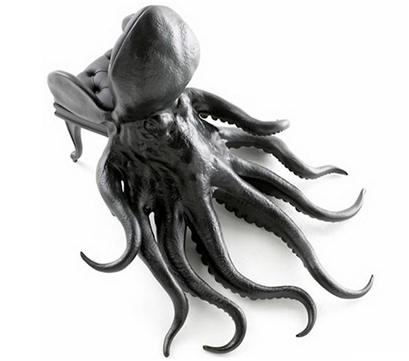 The Octupus chair in particular is very impressive! 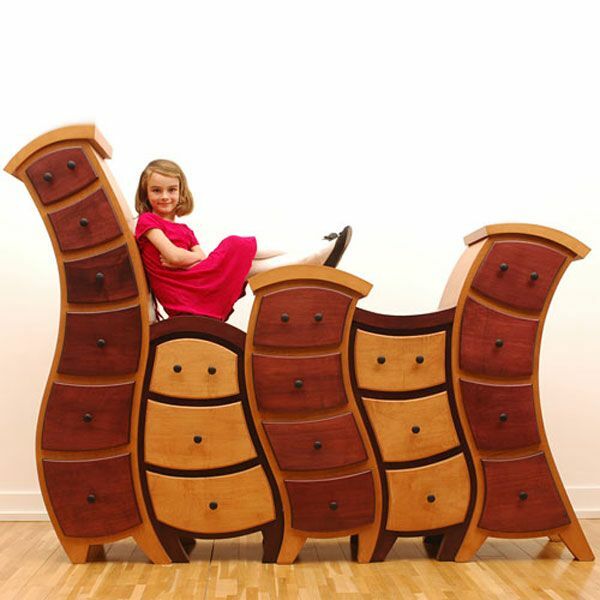 Furniture manufacturing company Straight Line Designs have designed a bizarre range of cartoony pieces, and yes, ‘cartoony’ is honestly the best way to describe them! The pieces look like they have been pulled directly out of a Disney film, rather than from someone’s home. We imagine they’d be very popular with children however and we love the originality.